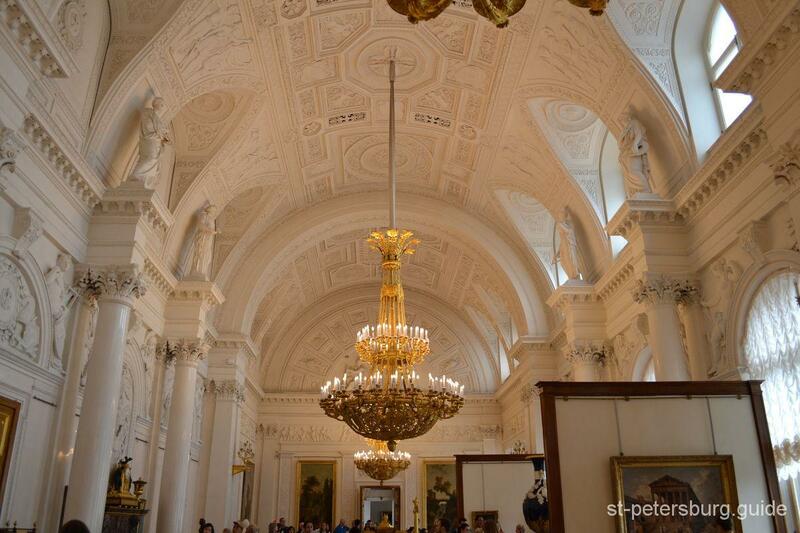 The 250th jubilee of the State Hermitage Museum was celebrated in 2014. 1764 is considered to be the year of the museum’s creation, in particular because an extensive collection of paintings purchased by Catherine the Great from the Prussian merchant – Johann Ernst Gotzkowsky – was delivered to Saints Petersburg. In the second half of the 18th century, the Russian nobility or people at the court had the means to frequently purchase entire collections of art the cultured owners of which were forced to part with them for various reasons. When it came to making decisions and choices on what to obtain, Catherine the 2nd appealed to the wisdom and expertise of several leading enlightenment thinkers and artists that she corresponded with or knew personally. Among them were Denis Diderot, Voltaire, Étienne Maurice Falconet, and Alexander Mikhailovich Golitsyn. This in turn, guaranteed that the most precious and valuable art pieces of the time were purchased for the Hermitage. The purchased artwork, especially large collections of paintings, had to be kept somewhere and in good conditions, so a pavilion right next to the Winter Palace was built. It was called “the Hermitage”, which translates as “getaway place” from French, and later became a part of the Small Hermitage. A decade later, the number of pieces of art in the collection increased significantly, so the Large Hermitage (The Old Hermitage) was constructed on the embankment of the Neva River and half a century later, emperor Nicholas the 1st decided to launch a first in the Russian history Art Museum, open to the public, that would display all of the accumulated collections. In order to make this happen, Leo von Klenze, a German neo-classicist architect famous for his projects of the Munich Glyptothek and Alte Pinakothek, designed the building of the New Hermitage with its famous portico decorated with 10 Atlantes. During the Soviet era, after most of the art collections owned by aristocracy were nationalized, the Museum’s collection gained a lot of new items of the decorative and applied arts, coins, orders, arms and weapons… Nowadays, when we think of the Hermitage, we imply the architectural complex that was evolving for over a century and that includes several buildings: The Winter Palace (1762),The Small Hermitage (1775), The Large (Old) Hermitage (1787), the Hermitage theatre (1787), and the New Hermitage (1851). 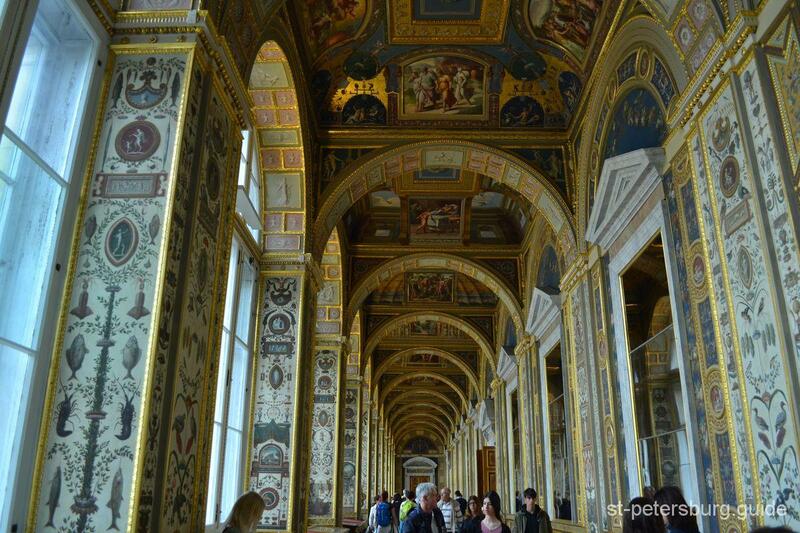 The State Hermitage museum is one of the largest museums in the world along with the Louvre in Paris, The National Gallery and The British Museum in London, and the Prado Museum in Madrid. Its collection includes approximately 3 million exhibits: 15,000 paintings, 12,000 sculptures, and 224,000 objects of applied arts. Among world’s museums, one can find only a few that could overcome or outnumber the Hermitage in terms of the size and diversity of the collections owned. The treasures gathered here give one the opportunity to get acquainted with what people from both, the East and the West and from more than several dozens of other countries have created. Among the museum’s masterpieces there are works of the Scythian art and the most rare findings from the Altay Mountains’ kurgans. The expressive exhibits characterize the Russian culture. The eastern collections, ones of the richest in the world, give you an idea about the culture and the arts of nations that lived in the Near, Middle and Far East. Among the highlights are creations of the artists from ancient Rome and ancient Greece and complexes of monuments, discovered in the Greek towns of the North Black Sea region. 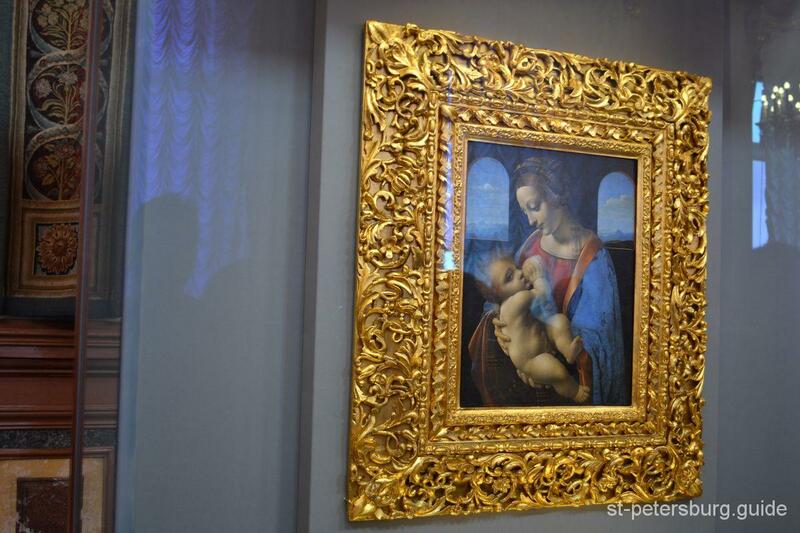 The collection of the Western European paintings has earned worldwide fame, and the main reason for this is that it has pieces of art dating to the 13th century and all the way until the 20th century, which means 7 throughout centuries all together. Among the most well known pieces are works by Leonardo da Vinci, Raphael, Michelangelo, Titian, El Greco, Diego Velázquez, Peter Paul Rubens, Rembrandt; painting in the impressionist and post-impressionist styles. 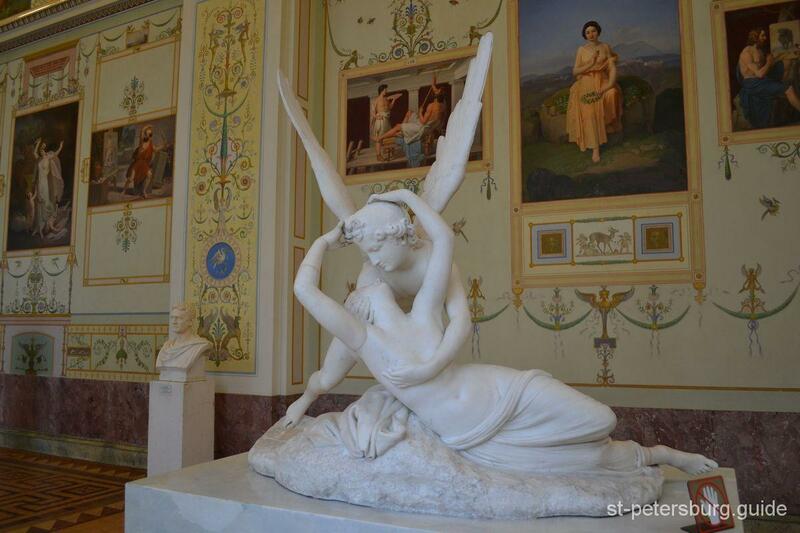 Among European sculptures there are pieces by Michelangelo, Falconet, Canova, Rodin and many other outstanding artists. The museum is also famous for its collection of engravings and drawings. One of the most numerous in the world is the assembly of the objects and items of applied art. Numismatic collections are, in particular, widely known across the world. An equal amount of your attention deserves the collection of western European and Russian decorative and appearance weapons. 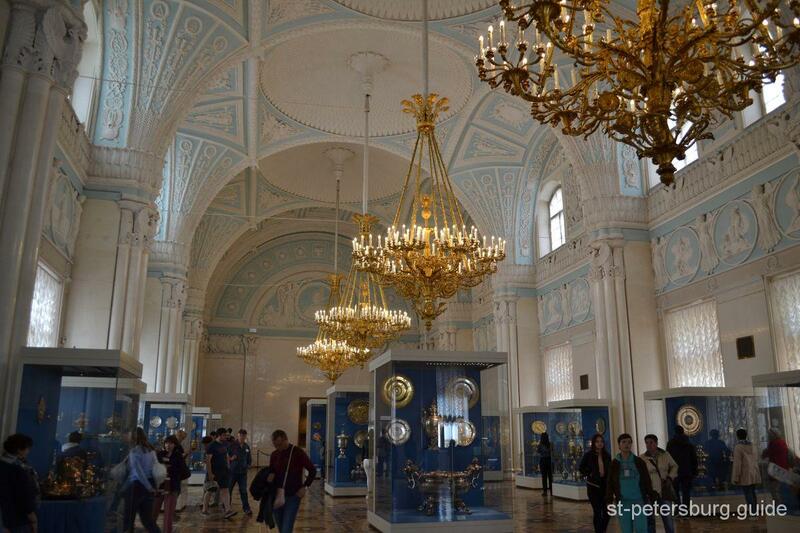 On top of this, keep in mind that all of these items are kept or displayed in beautiful rooms and halls, each of which is an outstanding momentum of the Russian architecture. 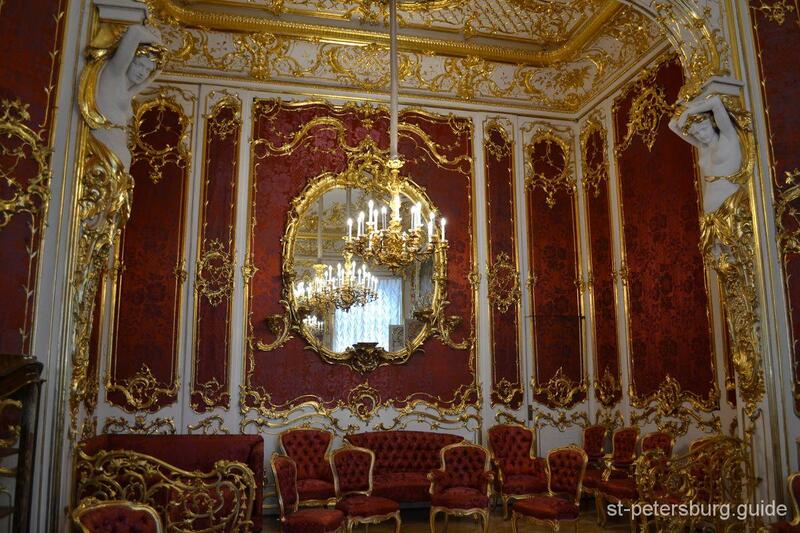 Passing through the rooms of the Winter Palace, The Small and the Large Hermitage, visitors not only get acquainted with displayed exhibits but also get the chance to admire and the enjoy the sights of the magnificent interiors of the former Royal residence. The question is, how do you get to see the entire museum? Frankly, the answer to this question is “there is no way to achieve this by visiting only once or twice”. However, you could arrange your tour in such a way that it will optimize your visit, make you feel accomplished and bring you joy. Primarily, you need to make up your mind on what interests you the most and include it into the general tour of the museum. For example, one could go on a general tour and add either the Gold Drawing Room (Scythian gold)or the display of weapons instead. You might wonder what the general tour includes. One has to keep in mind the fact that different tour guides have varying approaches, however, the ceremonial rooms of the Winter Palace (the history of their creation, architectural markers, the significant events that transpired in them); western European applied arts, Small Hermitage Pavilion Hall; Italian paintings, sculptures and Maiolica(also called Majolica) from 13 – 19 centuries (by Simone Martini, Leonardo da Vinci, Raphael, Michelangelo, Titian, Giorgione, Caravaggio, Paolo Veronese, Giovanni Battista Tiepolo, Canaletto and Canova); Raphael’s loggias; Spanish paintings (by El Greco, Josep de Ribera, Velasquez, Bartolomé Esteban Murillo, Francisco José de Goya y Lucientes), Dutch (from Holland and the Flemish region) Golden Age paintings (by Rembrandt, Peter Paul Rubens, Antoon van Dyck, Frans Snyders, Jacob Jordaens); French and English art; Private Royal Apartments (Gold Drawing Room of the Winter Palace, the Crimson Cabinet, The Boudoir of Empress Maria Alexandrovna, Arabian Dining Room, The Malachite Room) are usually included into the general tour. Personally, I would highly recommend that you see the exposition of the archeological monuments. Since the middle of the 19th century the Hermitage collection of the monuments of the ancient cultures had been accurately selected and funded by the Imperial Archeological commission. Importantly, nowadays this process is still ongoing and new items are constantly added. It consists of approximately 1,500,000 exhibits. The Paleolithic, Mesolithic and Neolithic periods; the cultures of European and Central-Asian cultivators; Bronze age; Koban and Colchian cultures; Scythians; early nomads of the Altai-Sayan region; Peter the Great’s Siberian Collection; the Sarmatians; the Huns; the Bosporan kingdom during the Migration Period, Eastern-European Germanic tribes; Permian bronze casts; the nomads of Eastern Europe in the early Middle Ages are all represented in the exposition. The stone tools and Mammoth’s bones or curved tusks are the oldest items among the exhibits and are from 12,000 to 400,000 years old! The monuments of the parietal art occupy a very special place among archeological collections, as they are the only source of study of spiritual life of the primitive men and include items such as anthropomorphic (human-like)figurines, jewelry and ritual crafts of the The Kostyonki-Borshchyovo, Mal’ta–Buret’, and Afontovo cultures.